<<< Hardback, paperback or e-book – What’s your preference? 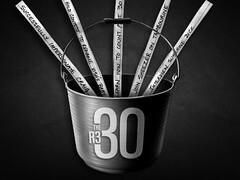 We’ve been kicking the bucket for thousands of years, but the phrase gained notoriety in 2007. That’s the year Jack Nicholson and Morgan Freeman made famous a screenplay written by Justin Zackham. 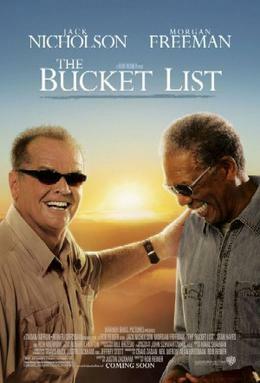 The Bucket List was an overnight sensation and a box office hit. Now, it seems like everyone has a bucket list. I don’t do change well, as evidenced by the fact I’ve held the same job in the same building in the same town for twenty-two years, nine months, and fourteen days. My idea of spontaneity is stopping for Chinese on the way home. When did I become this person? I don’t know, but I’m a little afraid I’ve always been her. No surprise, then, when I looked at my bucket list and found it to be boring and uninspired. See Toby Keith in concert—he’ll be in Oregon this summer so I might get my chance. Fly somewhere first class—to New Zealand would be awesome! Publish a book—this one actually happened! Last week my very first paperback book became a reality! By the way, Sharon Struth won the free copy. Congratulations, Sharon, and thanks to everyone who played the game. Publish 2nd, 3rd, and 4th books, one of which will be a best seller—hey, a girl has to dream! Pretty tame stuff. No bungee jumping, parachuting, or rock climbing. No African safaris or anything that includes wintertime, snow-covered activities. Give me a nice tropical beach, a good book, and a mimosa instead. That’s just who I am. This entry was posted in Cliches and other forbidden fruit and tagged Bucket List, Bungee jumping, Jack Nicholson, Justin Zackham, Morgan Freeman, New Zealand, Oregon, Toby Keith. Bookmark the permalink. 4 Responses to Do you have a bucket list? I think our bucket lists reflect how happy we are with ourselves. If I’m not happy with my quiet, risk-free personality I probably would put bungee jumping on my list just to prove I’m not so boring!! However, I’m perfectly happy to be who I am, so the top of my list is to go to New Zealand with you (first class, of course)!!! Woohoo! Let’s get that on the schedule! Thanks, Dorothy! Go to France, Italy, Germany, Australia, Brazil, Germany, New Zealand, and everywhere else! Your bucket list doesnt make you seem boring or predictible, it is just a reflection of what you like. Besides, thats why God made us friends, so that I can get you out of your comfort zone every once in a while! Rest assured I am NOT going sky diving!!! Thanks, Karissa!